We haven’t had one of these posts for a while. Amazingly, our mail server admin’s appear to have problems with server replication and we need to ‘be authenticated due to server relocation’ … or not. You have to admire the sign off as ‘Henry Morgan‘, it’s a pretty big wink to sign off your phishing email as a privateer (pirate). * Delete this email without opening it. 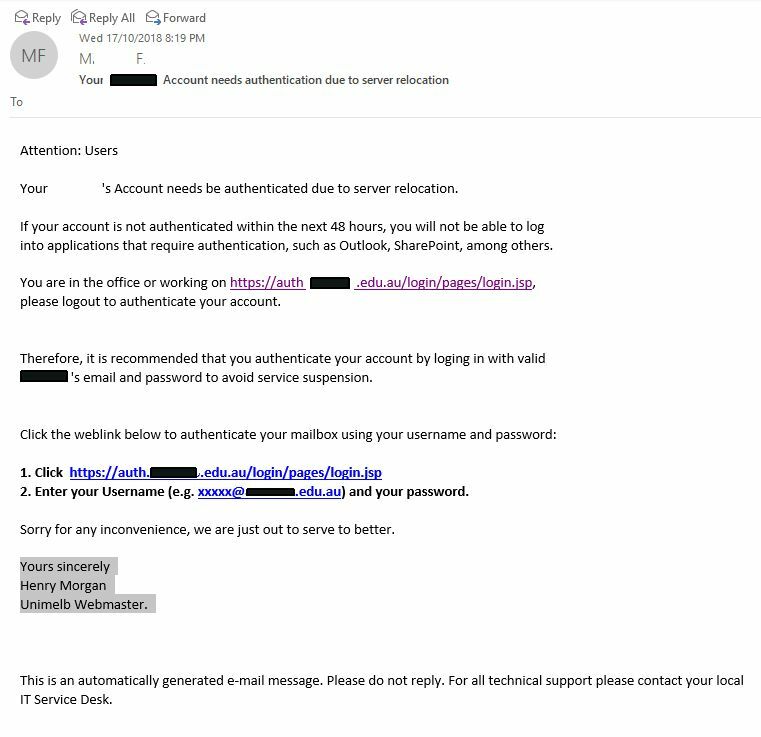 If you accidentally clicked on the link in the email or replied to it, please contact your IT support. Verdict: Straight to the trash for you! This entry was posted in 2018, security, spam and tagged phish, spam. Bookmark the permalink.